Shouldn't my DTEK app show "camera" and "video" in this list? DTEK should also show "camera" and "video". Here is a screenshot from the original version of DTEK after unistalling the current version. 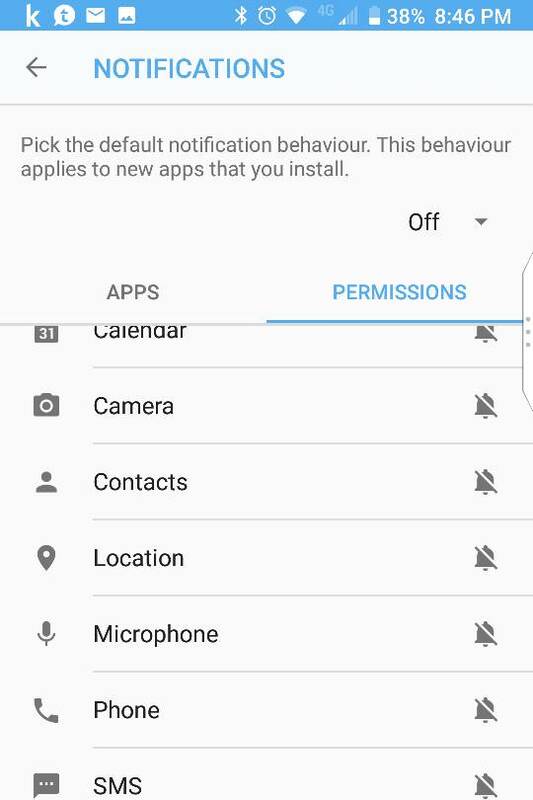 Go into DTEK, click on events click on the cog wheel top right, click on sensitive permissions adjust accordingly. I tried that. Thanks. "Camera" and "Video" is not there. Something is definitely wrong. I haven't gotten any response from BlackBerry here or on Twitter. We'll see what they say. Have you tried the long reset. power down with the power button and the volume down button. Then continue to hold the buttons for 30 seconds or until the 4th reboot starts. Yes. Thank you. It seems that this is simply another bug in the DTEK app that needs to be fixed. Albeit, a very important bug in my opinion. Hopefully Robert from BlackBerry will chime in soon. Hey @Jake2826, Was hoping to get the full story here before I responded to you as this predates me taking over the app. I am still waiting on some additional info. I'll come back to this thread when I have the details I need to respond properly. Thanks for letting me know which version is the last version that shows those permissions though that will help out for sure. @Jake2826 with the latest DTEK can you go into Apps and then some 3rd party application and let me know what permissions are listed as trackable please. Any app that didn't come pre-installed on the device would be fine. Also, are you able to share the OS version of your device? Here are screenshots of my device using the latest version of DTEK from the Play Store that does not show all permissions. I also show my device information. In my next post, I will show screenshots using the last proper working DTEK version that I could find for my device that shows all permissions. See the above post for screenshots using the latest DTEK version. The following screenshots are from the last DTEK version that seems to work correctly on my device.